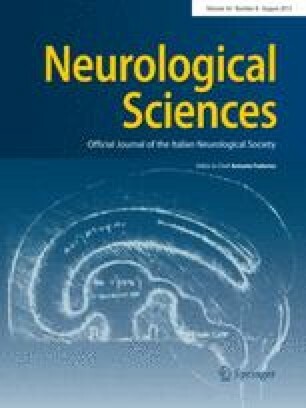 Neurological manifestations of gastrointestinal disorders are described, with particular reference to those resembling multiple sclerosis (MS) on clinical or MRI grounds. Patients with celiac disease can present cerebellar ataxia, progressive myoclonic ataxia, myelopathy, or cerebral, brainstem and peripheral nerve involvement. Antigliadin antibodies can be found in subjects with neurological dysfunction of unknown cause, particularly in sporadic cerebellar ataxia (“gluten ataxia”). Patients with Whipple's disease can develop mental and psychiatric changes, suprancuclear gaze palsy, upper motoneuron signs, hypothalamic dysfunction, cranial nerve abnormalities, seizures, ataxia, myorhythmia and sensory deficits. Neurological manifestations can complicate inflammatory bowel disease (e.g. ulcerative colitis and Crohn's disease) due to vascular or vasculitic machanisms. Cases with both Crohn's disease and MS or cerebral vasculitis are described. Epilepsy, chronic inflammatory polyneuropathy, muscle involvement and myasthenia gravis are also reported. The central nervous system can be affected in patients with hepatitis C virus (HCV) infection because of vasculitis associated with HCV-related cryoglobulinemia. Mitochondrial neurogastrointestinal encephalopathy (MNGIE) is a disease caused by multiple deletions of mitochondrial DNA. It is characterized by peripheral neuropathy, ophthalmoplegia, deafness, leukoencephalopathy, and gastrointestinal symptoms due to visceral neuropathy. Neurological manifestations can be the consequence of vitamin B1, nicotinamide, vitamin B12, vitamin D, or vitamin E deficiency and from nutritional deficiency states following gastric surgery.